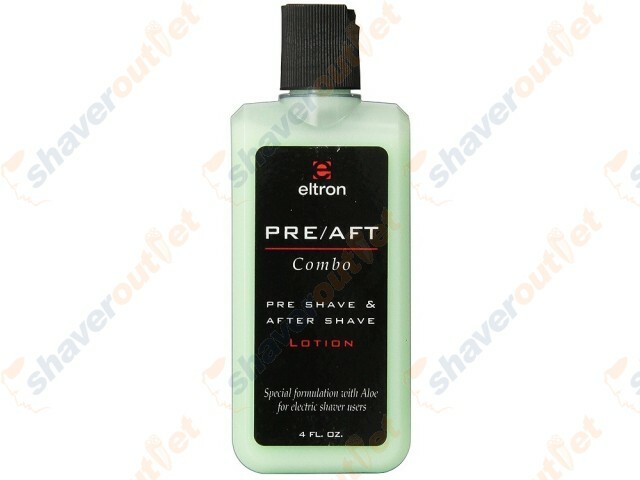 Here's a totally new concept in electric shaving, a combination pre-shave and after shave lotion. Pre/Aft is spread lightly over the face before shaving to add moisture to the whiskers giving them more body. It sets up the beard for an easy entry into the cutting system of electric shavers, and results, in an unbelievably close, comfortable shave. Use Pre/Aft after you shave for cool, refreshing clean shaven feeling. You'll enjoy the gentle fragrance and the total absence of any irritation or razor sting. Pre/Aft contains healing aloe and there is nothing like it!